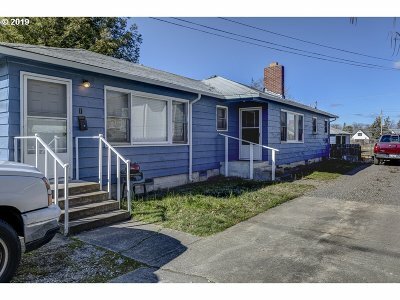 Duplex on oversized lot that will allow two more units to be built per the city. Seller has a set of plans that were drawn up for. A two bedroom one bath unit currently rented at $850 a month and a one bedroom one bath unit currently rented at $750 a month. Exterior was painted within the last 12 months. Large carport with storage on the property. Good location with short distance from downtown Medford, restaurants, & bus line.